Ms. Hartnett began her career in New York City with Mobil Oil Corporation, and continued with Zale Corporation in Dallas. She worked with RepublicBank in Dallas as it merged with Interfirst Bank, creating FirstRepublic Bank in the then-largest bank merger. She guided FirstRepublic through its merger with NCNB (now Bank of America). Following an assignment with Equimark in Pittsburgh, Ms. Hartnett joined the executive team at Bank United in Houston and helped orchestrate its IPO and eventual acquisition by WAMU. Her consulting work with Guaranty Bank in Dallas and Austin led to her assignment as Chief HR Officer in their spin-off from Temple-Inland Inc. and the eventual listing of Guaranty Financial Group (GFG) on the NYSE. She now manages a consulting practice focused on executive compensation strategies for banks and financial institutions, as well as succession planning among executive teams. Ms. Hartnett earned her A.B. degree in English Literature at Sweet Briar College, and she completed additional studies at the University of Michigan and the University of Virginia, in business and education. 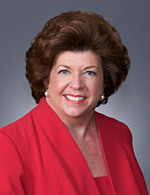 She has served as a member of the Executive Committee of the Houston Ballet Foundation, Membership Chair for the Moores School of Music Society at the University of Houston, and a Lifetime Member of the Houston Livestock Show and Rodeo. Pairing your Compensation Committee with your Chief Risk Officer can protect your human assets. As a smaller financial institution, you may not need access to high-level, strategic human resources solutions on a daily basis. But nearly all businesses occasionally need to solve a complicated termination of a senior executive or figure out how to devise a compensation package that includes cash and appropriate stock for another executive. All companies should have a meaningful succession plan for the top of the house, and provide on-going development actions that get the senior team prepared for new assignments. KJH Consulting can help you achieve the highest & best use of your human capital – your most important asset. How does a fifteen-billion dollar bank prepare a next-in-line CEO? This fifteen billion-dollar bank had a strong CEO but no immediately apparent successor. The management team didn’t interface with the board or outside investors, and the most senior members were stuck in a “this is how we always do it” mind-set. We devised a “gap analysis” that described the CEO’s job and allowed the incumbent to assess the gap between each team member’s current knowledge and what he or she needed to know to become CEO. We identified the two or three strongest contenders and developed actions to grow their knowledge and experience to fill the gaps. Actions included special board presentations, outside conferences, and committee leadership assignments for cost cutting. We also switched jobs between two senior team members to broaden their experience and better use their expertise. The executive two levels down was switched from commercial banking to the head of retail banking, and was promoted to CEO within two years. A side benefit came in moving the incumbent retail banking executive back to the finance area, an area that was his strong suit. How do you terminate an under-performing executive who’s being “protected” by the board? A business line executive ran a non-core business and had consistently failed to meet earnings targets. But he had a long-standing relationship with board members who “protected” him. The CEO needed to address the earnings shortfall and terminate the executive. We created a multi-prong plan that isolated the problem executive and increased the supervision on earnings, while exploring sale opportunities for the non-core business line. We transferred the business down one level, giving the problem executive more “hands on” supervision than the CEO could deliver. Board reports were completely re-designed and delivered by the new supervisor. We placed the focus on contribution (or loss) to corporate earnings, not year-to-year business changes. We identified outside buyers for the business, and informed the board of potential corporate earnings improvements that could result. After two negotiations were sabotaged by the executive, the business was sold without him to a third bidder. The executive was released with a sharply reduced termination package approved by the board.